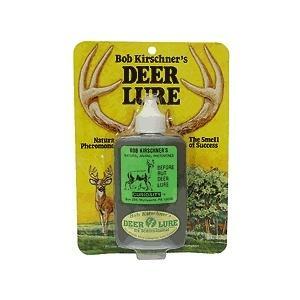 CATALOG PAGE: 448 ITEM INFO: Liquid concentrated Doe-in-Estrus plus Interdigital gland rut lure. 1. 25 ounce. PACKAGE INFO: 1 each. 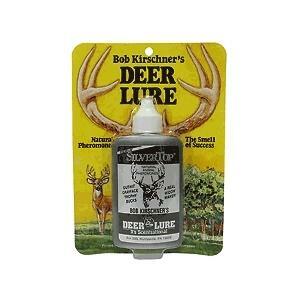 ITEM INFO: Liquid concentrated Doe-in-Estrus plus Interdigital gland rut lure. 3 ounce. PACKAGE INFO: 1 each. 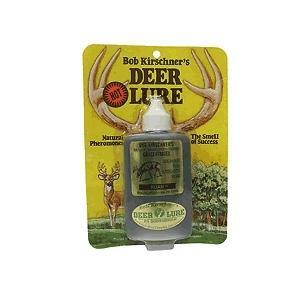 A natural pheromone solution that all deer are attracted to before the rut. It will attract all deer toward your location from 40 yds. In an undisturbed area, providing the deer do not smell your human odor. 3 ounces. PACKAGE INFO: 1 each.